The tobacco cessation program the researchers developed incorporated such evidence-based strategies as the “Ask, Advise, Assess, Assist, Arrange” intervention technique. In addition to increasing susceptibility to cancer, ongoing tobacco use in patients poses a hurdle to successful cancer treatment. The route to discontinuation of tobacco use is not straightforward for all patients. However, researchers from Rush University (Chicago) have developed an approach to tobacco cessation with promising results that they will present at the Oncology Nursing Society (ONS) 44th Annual Congress, held in Anaheim, California. The research team’s aims included improving strategies for evaluating tobacco use in patients and using an evidence-based program for tobacco cessation in patients being treated for cancer. The tobacco cessation program the team developed incorporated such evidence-based strategies as the “Ask, Advise, Assess, Assist, Arrange” intervention technique, in addition to counseling via telephone over 8 weeks based on the Courage to Quit model. The team also worked with key stakeholders and included staff education and dialogue with nursing staff to allow feedback and support the program’s implementation. Two sites were included in this study. The initial smoking rates were 17% at site 1 and 11% at site 2. A total of 18 patients at site 1 had attended some portion of the counseling program, and 22% ceased smoking. Some portion of counseling was completed by 6 patients at site 2, and 33% ceased smoking. Smoking rates dropped to 8% of patients at site 1 and 9% at site 2 by the end of the study. The researchers found that smoking patterns were assessed 72% of the time at site 1 and 77% of the time at site 2. 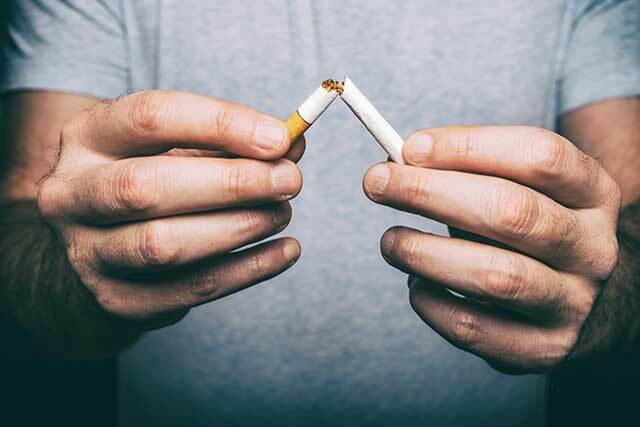 Although not all tobacco cessation at the project sites should be attributed to this program, the researchers noted that an evidence-based strategy appeared to be useful at aiding tobacco cessation. Sharko A, Cousins K. Addressing tobacco cessation in an ambulatory cancer center. Poster presentation at: ONS 44th Annual Congress; April 11-14, 2019; Anaheim, CA.